We welcome Airbnb’s decision to end its business in Israel’s illegal settlements in the occupied Palestinian territory, following a global campaign led by Human Rights Watch and a number of organizations affiliated with the BDS movement for Palestinian rights. 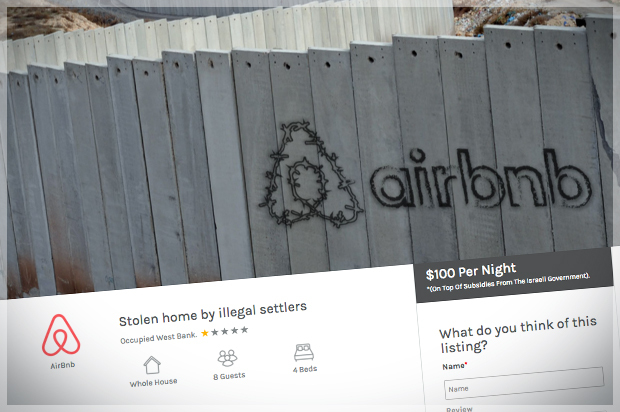 It is a first step in the right direction to end Airbnb’s profiting from Israel’s theft of indigenous Palestinians’ lands and natural resources. Airbnb, however, is contradicting its own statement by failing to delist properties in illegal Israeli settlements in occupied East Jerusalem, including the Old City. All Israeli settlements in occupied Palestinian -- and Syrian -- territory constitute war crimes under international law. East Jerusalem is no exception. Socially responsible tourism and pilgrimage should exclude all illegal lodgings. The Israeli tourism industry uses the stolen homes of Palestinian refugees, for instance, as hotels, rooms-for-rent, restaurants and more. The campaign against Airbnb should continue until it fully complies with its human rights obligations. There is no tourism as usual with Israeli apartheid. We also recognize Airbnb’s global role in systematically undermining housing rights and unionized work in the hospitality industry. We stand in solidarity with all those organizing to hold it accountable on these grounds.